We all know about Royer Labs, and we all know that they make a very famous mic called a 121 – it was one of the first “affordable-ish” ribbon microphones that became an industry standard. So many engineers that I know, will double mic electric guitars with a 57 and a 121- other people just use the 121 on its own. Then a few years ago, Royer came out with a mic called the R-122V, which was a tube version of the 121. It’s a phenomenal mic! I’ve used it with guitar players that are overly bright. It seems to have a way of just smoothing out the high end. However, both the 121 and 122V are priced over $1,000, which is “cheap-ish” if you compare it to a Vintage RCA or some of the other ribbon mics that are on the market. 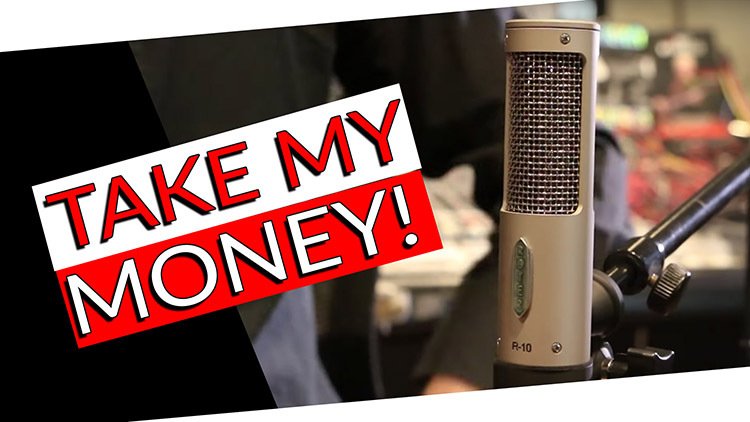 This $499 ribbon mic is called the R-10, which is what we’re taking a look at today. Not only did they send us one to try out and review, but they’re also going to send one of YOU an R-10! Enter the giveaway at the top of this post!